John Chisholm was a young man with a dream when, in 1967, he travelled from his home in Antigonish, Nova Scotia to Bristol Motor Speedway in Tennessee in hopes of getting a meeting with NASCAR founder ‘big’ Bill France. You see, John Chisholm was an avid racer and race fan with aspirations of advancing his favourite sport at home. He wanted to build a race track, but not just any track; he wanted to build the best track. He got that meeting and big Bill’s permission to copy Bristol, so build he did, in James River, Nova Scotia just a few miles from his hometown. 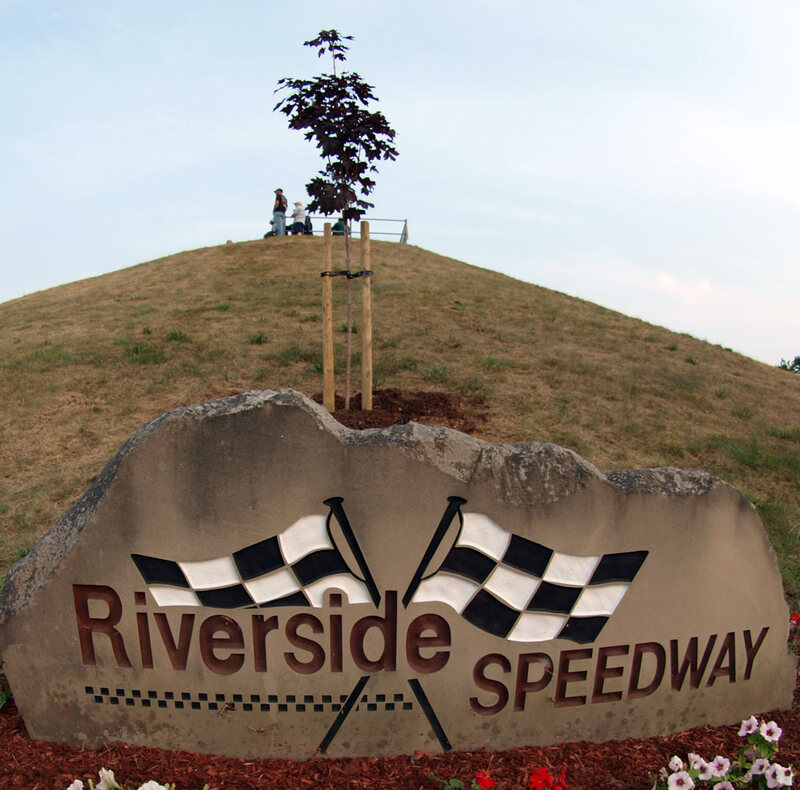 The result was Riverside Speedway, opened May 18, 1969 and entertaining race fans ever since. Its rebuild in 2006 under John’s watchful eye moved the facility into world-class status, and paved the way for the IWK 250 – widely known as the most entertaining racing event in Canada – and an event that has raised awareness and more than $225,000 for the IWK Health Care Centre (through 2014). 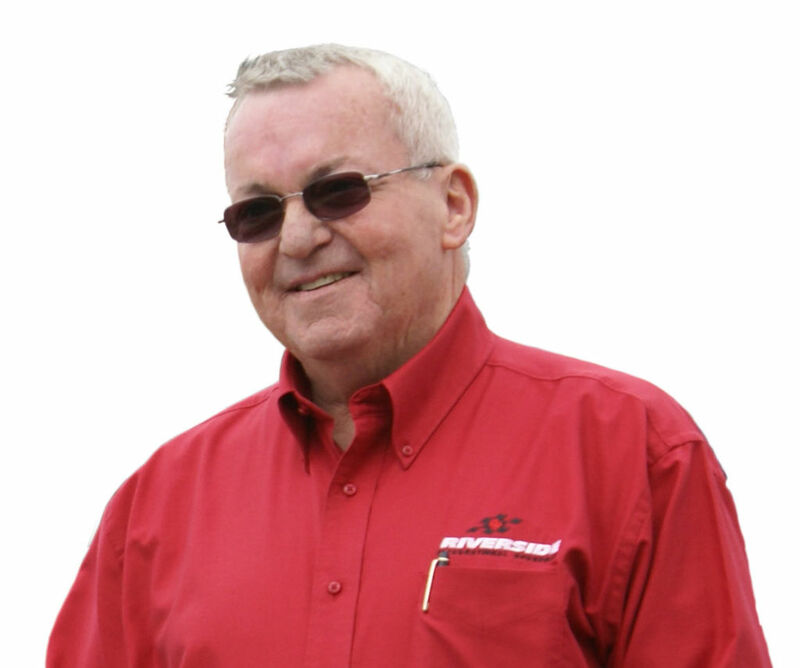 John Chisholm was a visionary and for that race fans in the Maritimes are most fortunate. He once said if had loved golf, he would have built a golf course. He was the ultimate race fan which is why Riverside is what it is; it was built, and rebuilt, by a fan. Everything – from every seat being a good one – to the amazing view of the infield pit – to the elevated backstretch – and, yes, even the washrooms, were planned by John to provide the ultimate fan experience. His ingenuity and innovation were exemplified in what he did for Maritime motorsports by expanding technology with the Holman-Moody and Bobby Allison cars and by putting Maritime stock car racing on the map in bringing a long line of special series and stars to Riverside. With these efforts he made it possible for Maritime race fans to have enjoyed the past four and a half decades of racing entertainment second-to-none. As a racer he set a torrid pace in the 70s by winning over and over again including one weekend in 1973 when he visited victory lane in five of six races that he ran at two different tracks, Riverside on Saturday and Atlantic Speedway (near Halifax) on Sunday. As successful as he was in the racing world he was even more successful in the business world after co-founding Nova Construction with his father in 1963 and then growing it to become one of the largest and most successful of its type. He loved the work: the camaraderie of his crews, creating smooth, straight, well-built roads where there were none before. Most of all, he loved beating the pants off the competition – a passion for which he would never lose his appetite. In 1975, at age 29, John and his team started construction on what is still considered to be among the largest and most successful industrial projects ever completed in Nova Scotia – the Wreck Cove Hydroelectric Plant. For the next three decades, John lead Nova Construction’s expansion into ever larger and more successful industrial projects: the development of Porcupine Quarry, considered to be among North America’s finest sources of quality aggregate; the construction of the Cobequid Pass, and the establishment of Pioneer Coal, a reclamation mining company with operations throughout Cape Breton and Pictou County. He also played an instrumental role in the conception of Confederation Bridge. Quiet and old-fashioned, John believed that actions spoke louder than words. He supported his community as an employer of several hundred people at any given time, in bringing business and recognition to the highland heart of Nova Scotia with Riverside, and as a giver – with his time and expertise, and financially. He served on the boards of many institutions including the Coady International Institute at St. Francis Xavier University, the Nova Scotia Road Builders Association, the Antigonish Seniors Care Van Society, the Eastern Nova Scotia Exhibition, and the St. Martha’s Regional Hospital Foundation. In 2006 he made a one million dollar donation to the Coady Institute in memory of Marjorie Desmond who had worked as a nanny for his family for generations. In 2013, during pre-race ceremonies for the IWK 250 at Riverside, John handed another one million dollar cheque to the IWK Foundation, this time on behalf of his granddaughter Emily who had benefited from the facility’s care as a premature newborn. In 2008 his numerous accomplishments in motorsports were formally acknowledged when he was inducted to the Maritime Motorsports Hall of Fame. In 2011 he received an honourary degree from St. Francis Xavier University, and in 2013 he received the same honour from Dalhousie University – both acknowledging his significant contributions to Nova Scotia’s economy. 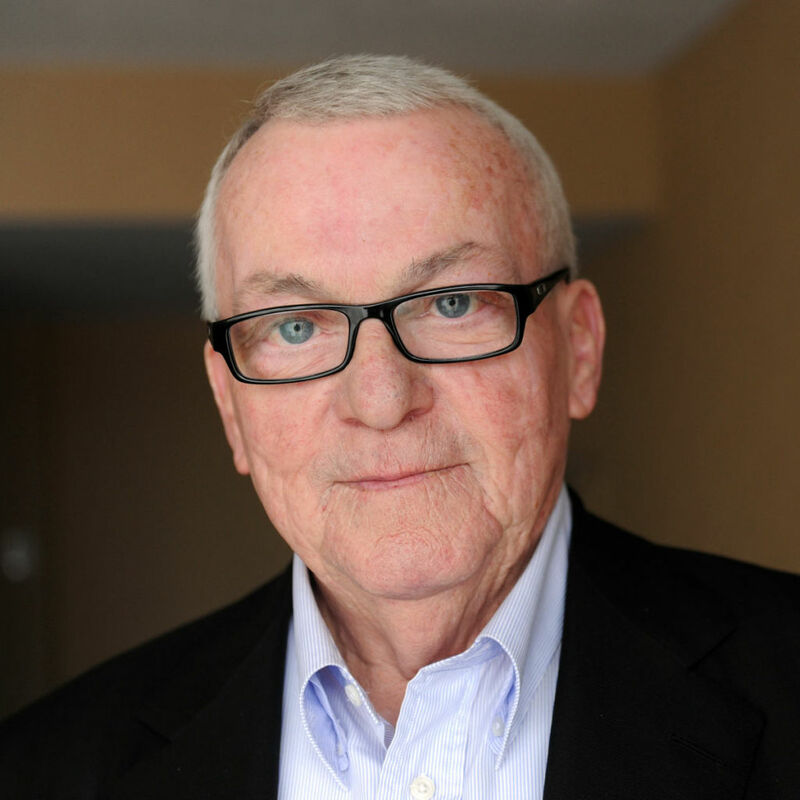 John Chisholm passed away July 4, 2014; he was 68. It was only two weeks before his beloved IWK 250. The show went on, just as he would have wanted. Just after the green flag flew his family and closest friends planted a red maple tree in his memory – it stands proudly at the main entrance to greet everyone who visits Riverside. Think of John Chisholm when you see it and remember the profound and lasting effect he had on this province and, for race fans, on our (and his) favourite sport. The John W. Chisholm Memorial Cup was unveiled at the 2015 edition of the IWK 250 as a perpetual monument for that event and, on October 17, 2015, John Chisholm’s contributions to motorsports were further recognized with his posthumous induction to the Canadian Motorsports Hall of Fame. Get advance notice of ticket sales and much more delivered straight to your inbox by subscribing to our newsletter.